The Book of Psalms has been the topic of our Men’s Bible Study this month. The Psalms were the worship songs of the ancient Israelites and they reflect both the tremendous joy and extreme sorrow the people experienced in their relationship with God and their neighbors. One frequent theme is that in life’s struggles, God is our rock and refuge. The rock image has been a favorite of mine throughout my life. Among the ancient Israelites, the sea was a symbol of chaos and catastrophe. The rock was the opposite symbol, a sign of continuity and steadfast devotion. The picture above captures some of the energy and wildness of the sea as it crashes against the rock. 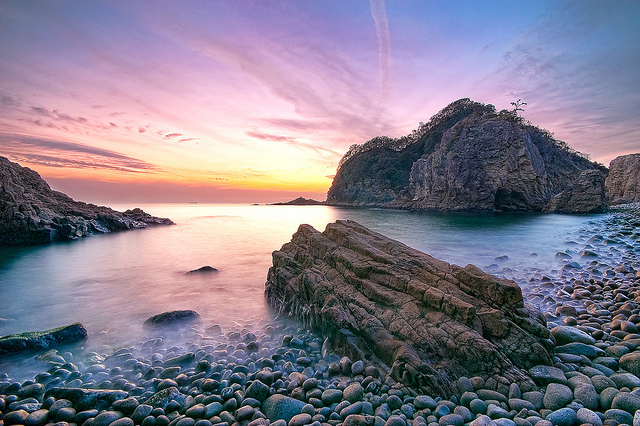 In that moment, the sea seems victorious, but the wave recedes and the rock remains. 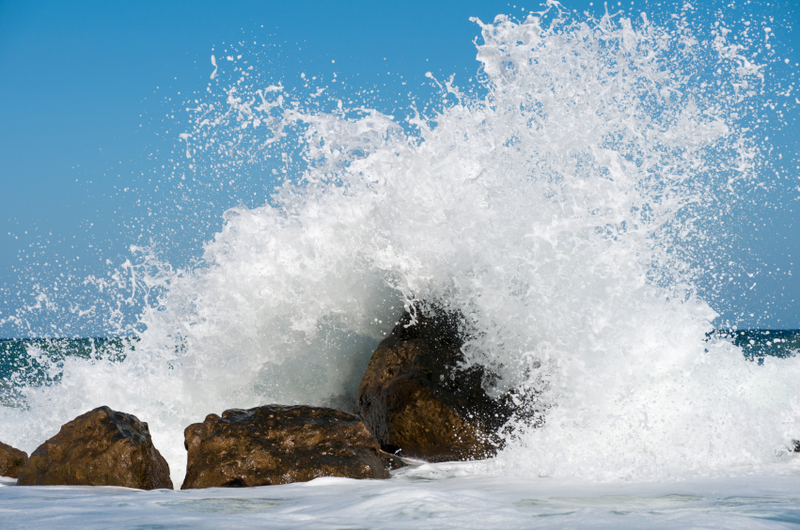 In our life, we are often hit with waves of wild chaotic energy that threatens to destroy us. It can be moments of grief when we remember a loved one who has died. It can be the sudden change in the marketplace when our job or career takes a beating. Or the wave might be a diagnosis of some health issue that causes our life to spin. Or it can be a relationship that suddenly shifts in a difficult, unexpected way. Or sometime it is the chaos we created within ourselves by the bad choices we made. In the moment we seem overwhelmed; but we need to remember that God remains our rock, our fortress in the midst of the challenges. God is steadfast. God remains the ultimate source of peace, calm and hope. Lord Jesus, be my rock and fortress today and always. This entry was posted in Bible, Resurrection Lutheran Church, trust and tagged Psalm 62, Psalms, rock, Sea on April 30, 2012 by Pastor John Keller.